Help support Silence The Growl - United Way of Dallas by creating a fundraiser and spreading the word. Nothing will be posted on your wall. Only your name and profile picture will be used. 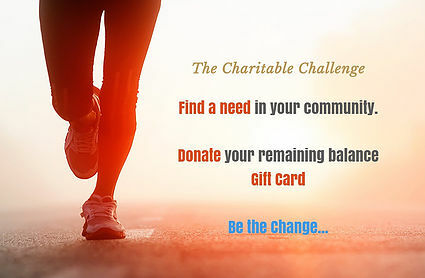 Your message will be directly emailed to GiftCards4Change.org and you will receive their response on the email address entered below. Don't worry, we will not share your email address with the challenge. Check this box to register an account by adding a password. Over 1000 Merchants to choose from! Uploading a picture of the front and back of your gift card is an optional process, but is recommended because it reduces data entry errors, and the need to contact you in the event we have a question. Waiting For Image Uploading !!! I Agree with the GiftCards4Change Terms of Service and am donating this gift card as a Tax Deductible donation. Thank you for donating your gift card to GiftCards4Change. We appreciate your support in helping change the lives of those in need. We will send you a receipt via email for your donation within 24 hours. Please do not throw away your gift card until you receive your email receipt. In some cases we have had issues with picture clarity and may need to contact you if we have a question.